Maxibus And Coach is uniquely positioned to provide passenger Transport Services, which will not only meet but also exceed their client’s expectations. At Maxibus they have the capacity, experience and systems to meet their clients transport requirements and to ensure that their clients together with the intended beneficiaries receive the highest level of service delivery. Over the years Maxibus Services offering has always been about meeting stringent deadlines. As part of Maxibus’s commitment to provide reliable and efficient transport service, all the vehicles are maintained under a Full Equipped Service Maintenance Warehouse which the company has built in house on the company premises with support of 24 Hour Maxibus Towing. It is safe to say that Maxibus has a reliable fleet of busses and should any one of them break down there will always be a replacement whilst the other vehicle is being repaired, and this in turn will ensure that the clients' operation is not affected by any such breakdown. The company’s principal business is to partner with their clients by providing comprehensive and tailored services in all aspects of their transport needs, whilst allowing them to focus on their core businesses. Maxibus partners with its clients and provides unparalleled service excellence in support of their client's core businesses by offering them dedicated transport all days of the week. 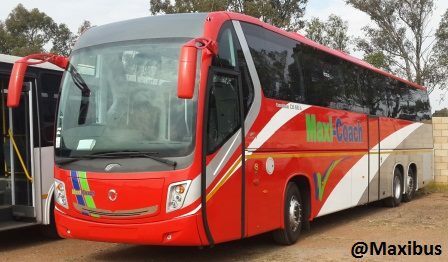 With Over fourteen (14) years of dedicated transportation experience acquired whilst transporting employees of various companies and school children, Maxibus stands out amongst its competitors as a shining example of black business achievement.